Flatirons Audiology was established in 2007 and Founder, Julie Eschenbrenner, Au.D., has been in practice since 1998. Seeing a real need for expertise in the treatment of tinnitus, Dr. Julie set out to offer help for patients who have been told there is none. 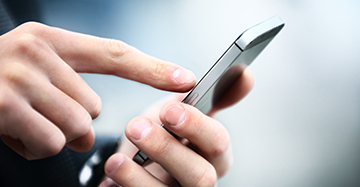 Flatirons Audiology is committed to changing people’s lives by restoring the quality of their hearing, in order for them to experience enhanced communications with their loved ones. The measure of our success will be found in the trust we build in the hearts of those we help. Our goal is to maximize the hearing potential of our patients by offering comprehensive range of diagnostic and preventive hearing healthcare services, including evaluation and treatment of tinnitus, comprehensive hearing evaluations, hearing aid sales and service, as well as rehabilitative and preventive counseling. We are dedicated to keeping abreast of the latest improvements in technological advances in the hearing industry and offering the most current options from the highest quality hearing aid companies. Education is a big part of our practice and Flatirons Audiology provides educational and support services for the community. We conduct informational seminars where you can learn about the newest treatments for tinnitus and hearing loss. Dr. Eschenbrenner attends seminars and conferences several times a year to ensure that we can offer the most innovative treatment options to our patients. Under the caring supervision of our audiologist, our practice continues to grow. 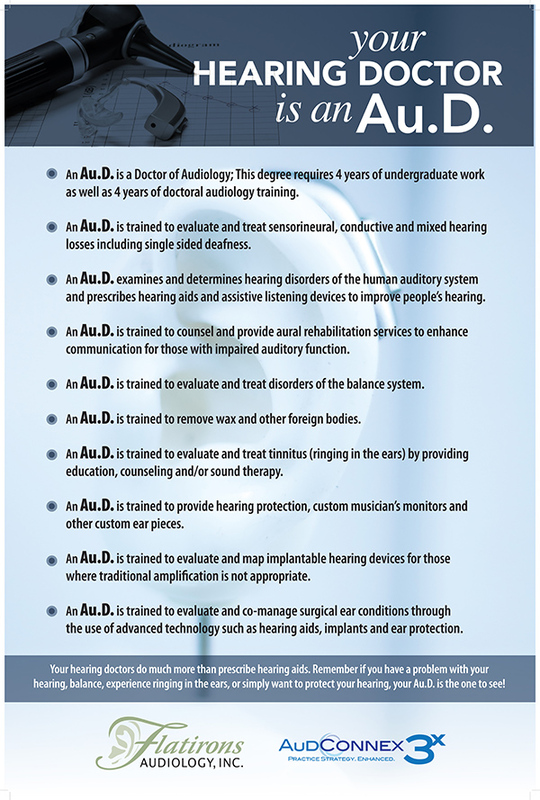 Flatirons Audiology, Inc. is proud to be a Clinical Internship Site for Graduate students in the field of Audiology. Dr. Julie Eschenbrenner is Board Certified by the American Board of Audiology and certified in Tinnitus Retraining Therapy.